Many women are told they are cute but they will never win in an electoral poll. His comments, which were met with laughter in Nigeria’s legislature last year, represent the broader attitudes towards the ability of women to be successful outside of the home in Nigeria. He was referring to the challenge of standing in Nigeria’s election, which was held on February 23 and saw only 51 women stand for Congress, down more than a third from 2015. Women made up only 12% of the 8,878 total candidates for national and gubernatorial elections and 7% of the 71 candidates who ran for president. Only 6% of Nigeria’s legislators are women, one of the lowest rates in the world. Nigeria ranks 181 out of 193 countries for the percentage of women in parliament, according to the Inter-Parliamentary Union. Women have been deterred from politics because of harassment, ridicule, lack of available financing, and threats of violence. 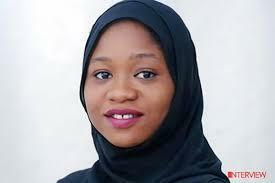 Zainab Sulaiman Umar, a 26-year-old female politician, was attacked by a group of men with knives while campaigning in 2018. Other women complain of being told they are cute but that they would never win in the polls. The most prominent female candidate in this year’s election, Oby Ezekwesili, who has served as both minister of solid minerals and federal minister of education, withdrew her presidential candidacy in January, leaving the prototypical two-horse race between Muhammadu Buhari and Alhaji Atiku Abubakar. In an effort to upend this patriarchal system, a Gender and Equal Opportunities Bill was proposed in Nigeria in 2016, calling for the adoption of temporary special measures to eliminate discrimination in political and public life. But the legislation has languished, shunned by the predominantly male parliament. Such reluctance to push through gender equality reforms is not unique to Nigeria, although it is certainly one of the worst performers on the African continent. Kenya, while it has more than three times as many women in parliament than Nigeria, has also prevaricated over passing legislation that would ensure that at least one-third of legislators are women. Women have long been pushing for a greater role in politics in Nairobi, and they have sought the enactment of a law that would fulfil the requirements of the 2010 constitution, giving them at least one-third of the seats in parliament. But their efforts have fallen on deaf ears. Yet worldwide, Africa is just one of many continents that struggles with the issue of gender equality. The continent is almost on a par with Europe for its average percentage of women parliamentarians. Indeed, some countries in Africa are significantly outperforming Western nations, illustrating how attitudes to women are by no means uniform across the continent. Rwanda has the highest representation of women in parliament anywhere in the world, with a whopping 61% of female legislators. Equally, the Ethiopian parliament last year elected its first female president, Sahle-Work Zewde. Her election came as Ethiopia’s Prime Minister Abiy Ahmed appointed 10 female ministers, comprising half of all the cabinet posts. Not wishing to be outdone, Rwanda’s president Paul Kagame announced shortly afterwards that Rwanda’s new cabinet would also be gender balanced. Ethiopia and Rwanda thus stand out as champions of gender equality in a world where the average percentage of female government ministers is 18.3%. Ethiopia and Rwanda have ensured that women are not just in the cabinet but that they also hold key ministerial positions. The ministers of defence and peace, and trade and economic planning, in Ethiopia and Rwanda respectively, are women. Both Rwanda’s president and Ethiopia’s prime minister, in a contrast to politicians in Nigeria, said they thought women would improve the efficacy of the cabinet. Still, questions loom over this progress. Several studies demonstrate that the transformative potential of women’s political representation is impeded if there is no room for grassroots women’s activism, as in Rwanda. In such scenarios, it is difficult for gains to trickle down to the wider female population. Similarly, Ethiopia may have an equal cabinet, but child marriage remains extremely common, with 58% of women marrying before they turn 18. Additionally, around 74% of women and girls aged 15 to 49 years are being subjected to female genital mutilation, according to the United Nations International Children’s Emergency Fund, better known as Unicef. This is not to say that the improvements in the political sphere are useless, rather that more remains to be done on the long road to ensuring that women and girls are treated in the same way as men throughout the continent. For that to happen, the attitudes of Kagame and Abiy Ahmed to women’s role in politics and wider society must become the rule, not the exception. * Jessica Moody is an ESRC-funded PhD candidate in the War Studies department at Kings College London. She is researching post-conflict peacebuilding in Cote d’Ivoire and will be living there from October 2017- December 2018. Jessica also works as a freelance political risk analyst focusing on west and central Africa. She has written reports for IHS, the Economist Intelligence Unit, The FT’s “This is Africa” publication and African Arguments.